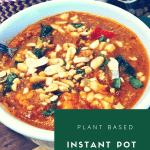 This African Peanut Stew is made in a pressure cooker – I used my Instant Pot. 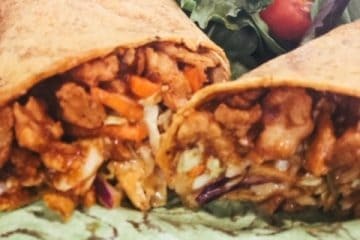 It is oil-free, vegan, and full of flavor! 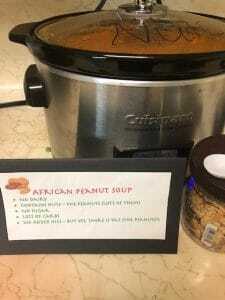 The African Peanut Stew is made with wholesome vegetables such as sweet potatoes, carrots, onions, peppers, and canned tomatoes. Add in some spices, and creamy peanut butter and you’ve got a rich, flavorful stew. 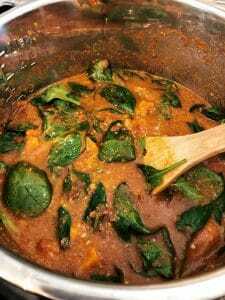 I first found an African Peanut Stew recipe on the Clean Food Dirty Girl Website. If you haven’t visited that site, you should. 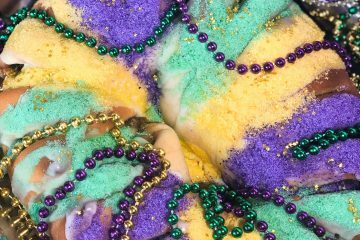 Lot’s of wisdom there…and crazy delicious food! I tweaked the recipe for my family’s taste and for the Instant Pot too:) I hope you enjoy! *Affiliate links. This post will contain Amazon affiliate links. 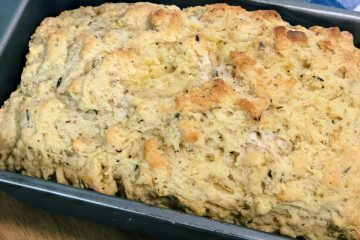 This means that I will post Amazon links to products I found helpful in making the recipe. Clicking on and purchasing through those links may earn Veggie Fun Kitchen compensation at no additional cost to you. 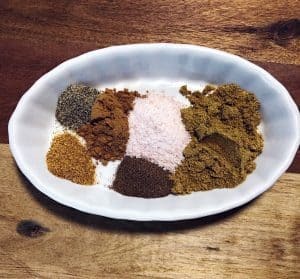 Aren’t these spices beautiful? You can go ahead and mix them up now! Start by measuring out and mixing the spices and set aside so they will be ready to go. Please note, the recipe calls for 1/4-1/2 teaspoon ground cayenne pepper. Unless you know for sure that you like it hot, start with 1/4 teaspoon. You can always add in more after it cooks. Next, cut the onion and the carrots into bite-sized pieces. Put the cut onion and carrots in the Instant Pot or other pressure cooker along with some vegetable broth and select the sauté function to get the cooking process started. If your pressure cooker does not have a sauté function, you will want to do it on the stove top. This ensures that you won’t have crunchy veggies. Watch the bottom of the pan and add a little more vegetable broth if it starts to burn. If the bottom of your pan has any burn or scorch, it may not come to pressure. While the onions and carrots are sautéing, you can prepare the bell pepper and sweet potatoes. Don’t let the onion/carrot mixture cook for more than five minutes though. If you are taking longer than that to cut the other vegetables, turn off the Instant Pot. 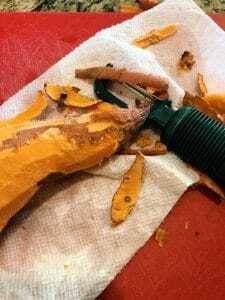 Roughly peel your sweet potato. 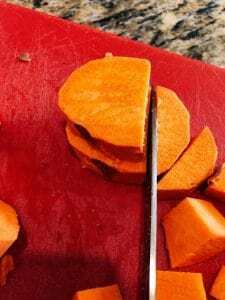 Cut the sweet potato into slices, then strips, and dice. Add in the cut sweet potatoes, bell pepper, minced garlic, and ginger. 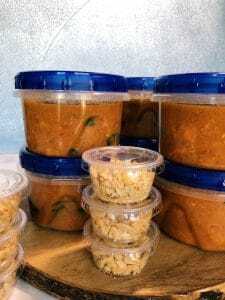 One short-cut I almost always take is to use jarred/packaged already minced garlic and ginger. Especially ginger – it’s just freakishly hard to peel and mince properly. 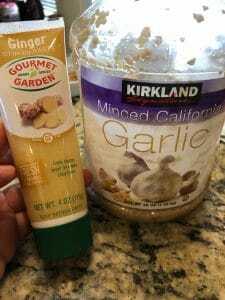 Use jarred ginger and garlic for ease of preparation. Continue with adding the spices, and crushed tomatoes and stir around to mix well. FINALLY THE STAR OF THE SHOW – THE PEANUT BUTTER! 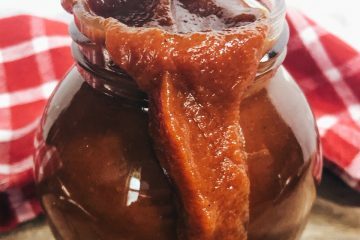 Use a natural peanut butter that is oil-free and sugar-free. 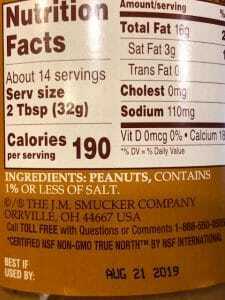 Measuring out peanut butter can be messy – plus, when some is left in the measuring cup, I’m never sure I’m getting it all. Here is a trick my mamma taught me. You can measure peanut butter easily and with less mess by using the displacement method. 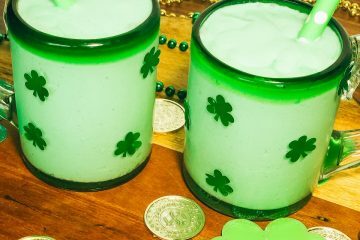 First, get a liquid measuring cup and fill it with 1 cup of liquid. 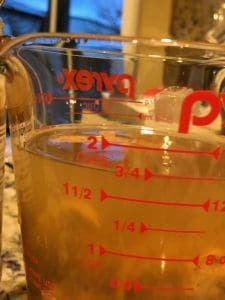 I prefer to use the broth that will be going into my soup, but you can use water. Next, scoop out the peanut butter and put in the measuring cup until the liquid level measures 1 ¾ C. Voila! Pour that into your soup (or just the peanut butter if you used water) and smile about not having to clean sticky peanut butter out of a measuring cup. Plop the peanut butter in the broth. It can be an easy way to measure it out. Measure out the broth first, then add peanut butter till it measures up to the total for both. 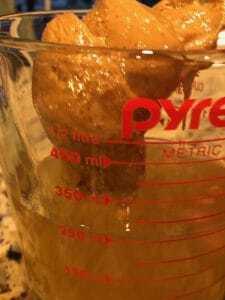 Microwave the peanut butter along with some of the broth so that it melts and mixes in easier. 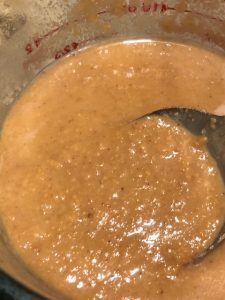 For this recipe, we will be microwaving the peanut butter along with some of the broth and mix well so that it easily pours over the other ingredients already in the Instant Pot. Finish adding all broth/peanut butter. Close the lid, making sure the vent is closed. Use the manual mode and set the timer for 10 minutes. It will take some time to come to pressure. Once it is finished and the timer goes off, do a natural release for 20 minutes. If it hasn’t finished releasing pressure by then, give it a little help by carefully opening the vent to finish releasing the pressure. Open the lid and add in 5 ounces of fresh baby spinach. Give it a stir and the spinach will wilt. 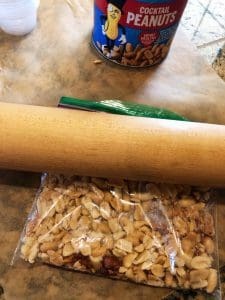 Put the peanuts in a baggie and crush with a rolling pin. 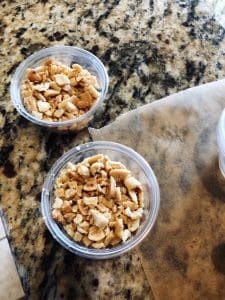 You will still want some big nutty chunks so the rolling pin method is perfect! 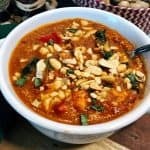 I like to top off this flavorful African Peanut Stew with some crushed peanuts for good measure! 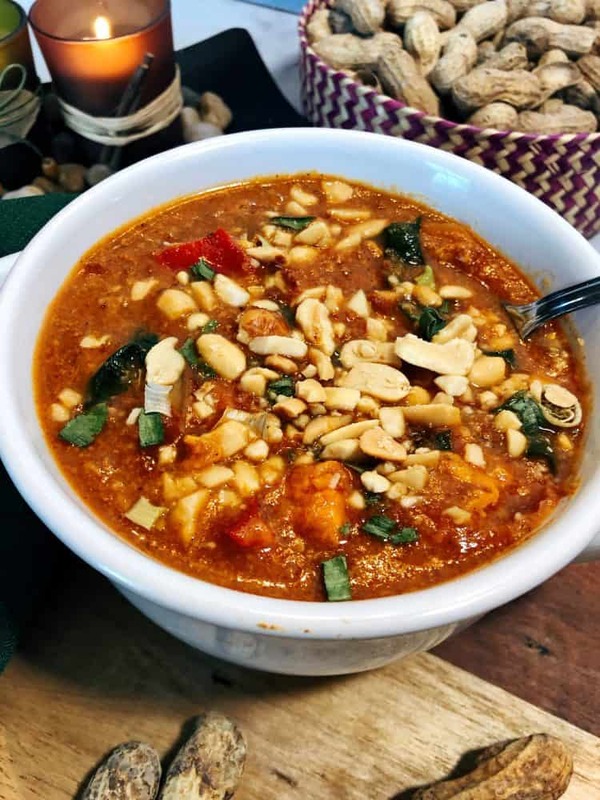 This African Peanut Stew is perfect for meal prep. I like to add in the nuts at the last minute though and so portion them into little containers. 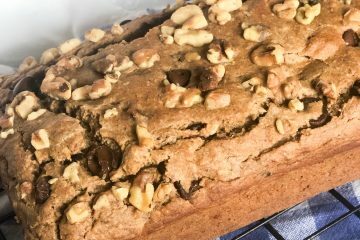 Always inform people you share with that this recipe contains peanuts. 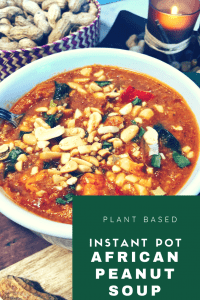 This African Peanut Stew is made in the Instant Pot Pressure Cooker. It is plant-based and is processed-oil free. It uses sweet potatoes, carrots, onions, and bell pepper. 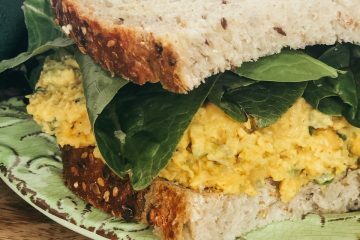 The recipe includes Moroccan spices and creamy peanut butter. Cut onion and carrots into bite-sized pieces. 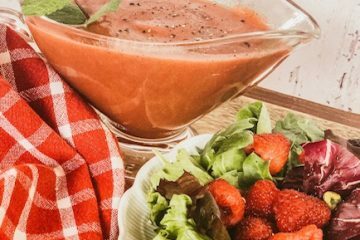 Line the Instant Pot with a small amount of vegetable broth and sauté onions and carrots until they begin to soften - no more than 5 minutes. Watch the bottom of the pan and add more broth so that it doesn't stick. Turn off the pot. While you are sautéing the onions and carrots, cut the other vegetables into bite-sized pieces. Add the other vegetables, along with the garlic, ginger and spices and stir till well mixed and coated. Add can of tomatoes as well as the maple syrup, stirring to mix well. 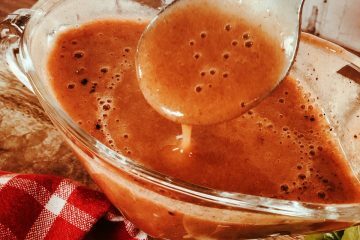 Melt the peanut butter along with about half of the vegetable broth in the microwave for about 2 minutes. Stir together and pour on top of the mixture along with the remaining vegetable broth. Close lid and make sure the vent is closed. Use the manual mode and set to 10 minutes high pressure. It will take a while to come to pressure but will start counting down once it has. 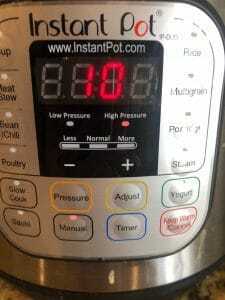 Once the timer has counted down, do a "natural release" and allow the instant pot to sit for about 20 minutes. After 20 minutes if the pressure has not released, you may finish releasing by carefully opening the vent with an implement of some sort. 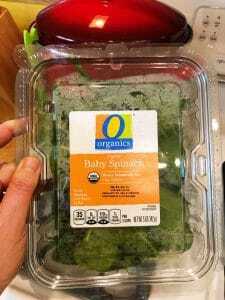 Open the lid and stir in the 5 ounces of washed baby spinach. Top with crushed peanuts if desired. 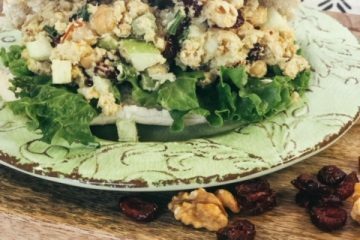 You must disclose to anyone you serve this recipe to that it contains peanuts! Unless you know you like it spicy, start with 1/4 teaspoon cayenne. After it has cooked, you can always add in a little more. I like how similar to another soup dish that my family absolutely loves! Some easy swaps for variety! Awesome hope you liked it! This has a lot of tasty spices in it! I love peanuts because I’m a crunchy girl! This flavor combination is fantastic! I love it! I’m glad you enjoyed it. The flavor combo is the bomb! So much flavor in this dish! My vegetarian daughter will love this! I really hope she liked it! It’s hard when you are a non-vegan to find good food for your vegan/vegetarian family member.